Colin’s experience stems from working in the UK and London Insurance Market for over 40 years, being responsible for claims handling, operations and management of UK insurers and MGA claims functions at senior level. In more recent years he has provided a consultancy with regard to claims strategy, compliance, digital innovation, working practices targeting quality control for start-ups and established insurers. 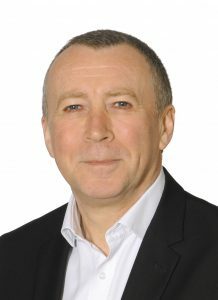 Colin also undertakes numerous reviews and audits at strategic and specific claim handling levels, in order to analyse technical fund provisions, governance, claims risks, impact, technical standards and provide solutions where appropriate. He has helped clients improve loss ratios through specialist investigation and combating fraud. Colin has been responsible for the strategy, management and settlement of claims from various classes of UK direct business, MGAs and markets worldwide, to include the selection and control of many, varied service providers. He has specific expertise in UK and International Liability, Commercial and Domestic Property, Motor, Professional Indemnity, Contractors, Accident and Health. He has personally handled large and complex personal injury and property claims, often in litigation.